Uncategorized | I made inky. 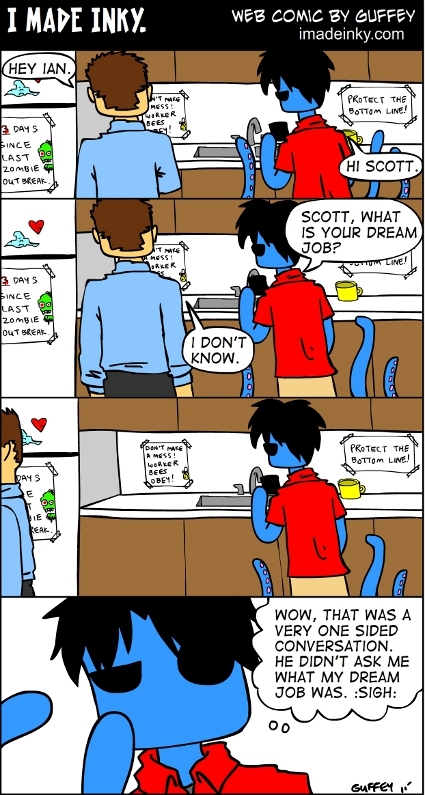 Comic #54 – Dream job. It is kind of like when someone asks you how your day was as they walk by you. You go to answer, and they are already walking away. One sided! Comic 54 took 2.75 hours. Comic #18 – Decision time. 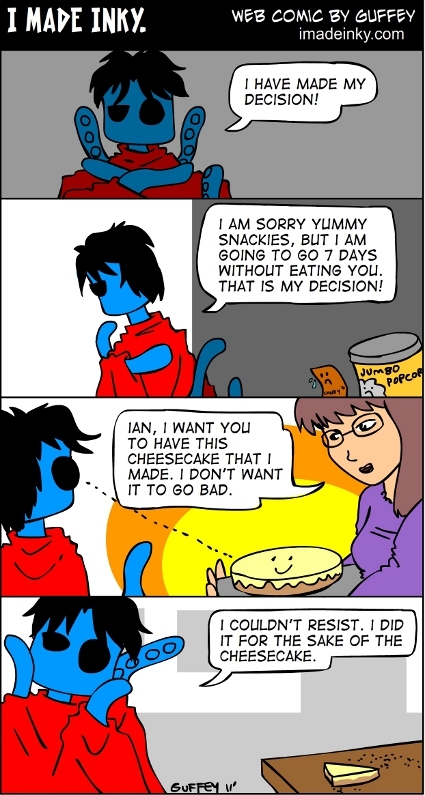 That cheesecake was very happy.